Couples kissing in gondolas, sighing over the golden engagement rings on the Rialto Bridge, or exploring the beautiful piazzas of Venice. Sometimes for solo travelers it just seems as if the world comes in twos, and one is the loneliest number. 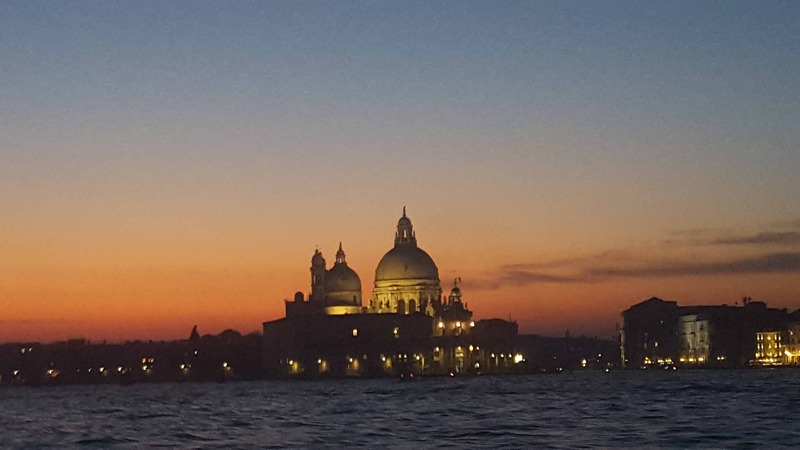 Venice is one of the world’s top honeymoon destinations (after all George and Amal Clooney were married there!). Travel magazines are full of pictures of the bright blue sky shining down on lovers strolling the Piazza San Marco. So how does a solo woman traveler beat back the blues while visiting such a traditionally romantic travel destination? 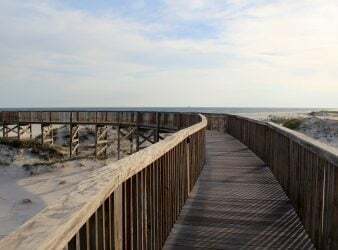 The key is to find activities that will fill your heart and your mind, as well as your budget. The best time to visit Venice is October. The summer crowds have departed and rather than humidity there is a sharp snap in the air. Don’t wait too late in the year to arrive. November often has Aqua Alta, or High Water, when many of the buildings are flooded on the ground level. Although the city thoughtfully puts out hip-high walk-ways and many hotels provide knee-high water boots to walk through the streets, it can be messy and depressing. The heavy rain subsides as winter progresses. 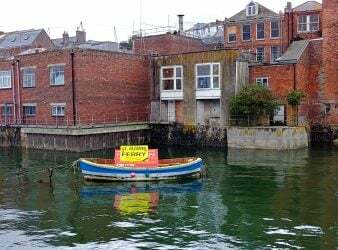 But the damp cold can sweep over the canals, making a walk around town very unpleasant. 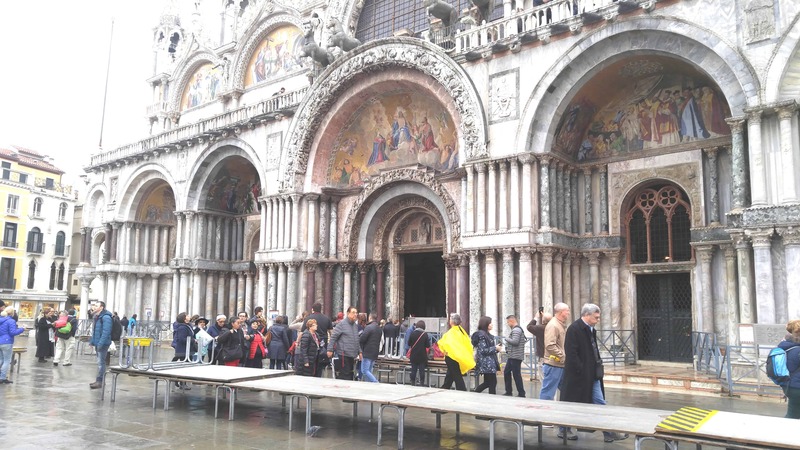 But if you come in October, Venice will shine like a jewel even if the sky is gray. Bring a colorful umbrella, and plan to immerse yourself in the old-world atmosphere. 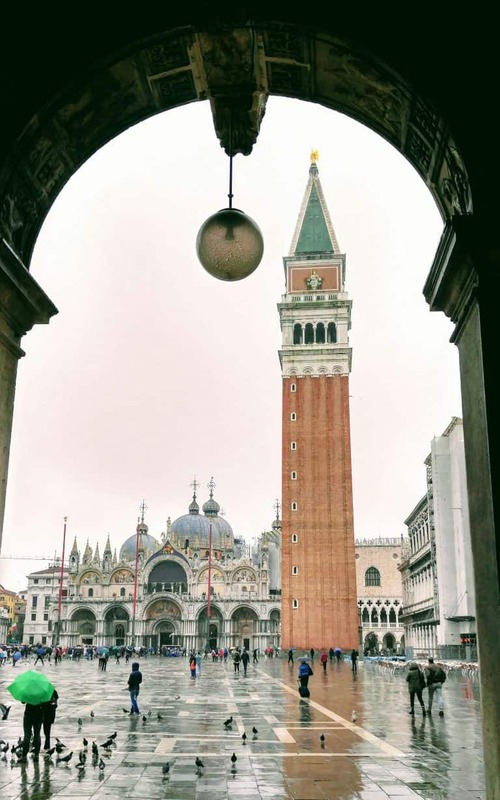 The Piazza San Marco will be practically empty, and even the pigeons will seem friendly. Rather than couples everywhere, there will be many solo travelers who come to see world-class art and soak up the history. Stop to have a cup of Italian hot chocolate so thick that you will need a spoon to drink it. Strike up a conversation with a local about home-town politics and learn about how the Mafia still is strong in this part of Italy. The hotel clerks have time to chat with you, and provide tips on out of the way places to eat. One advantage for solo travelers, sometimes engaging with locals is easier when one your own. 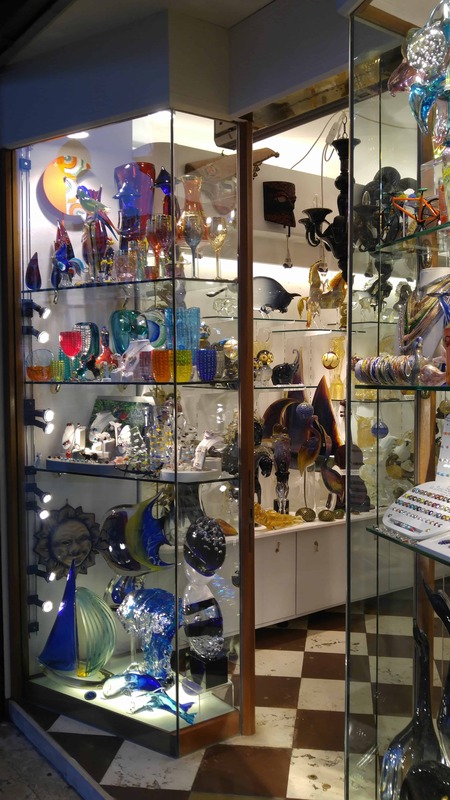 Go into one of the many small stores around the Piazza that sells hand-blown glass. Ask the owner a few questions about how the glass is designed, or how to tell “real” Venetian glass from the knock-offs from China that are sold everywhere around town. Take a short ferry ride out to the Island of Murano to watch the glass actually being made in one of the many glass shops that have been run by the same family for a couple of hundred of years. If you can’t afford to take home a glass-blown necklace as a souvenir, find a shop that will sell the glass beads individually, and when you return home take a cheap class at your local craft shop to learn how to make a one-of-a-kind necklace that will always remind you of your time in Venice. Remember that the sun will set earlier in the colder months, so plan to catch the local water ferry around 4:00 p.m. in order to ride the “loop” around the canals during sunset. Bring a warm coat and scarf for your ears and sit outside, at the front of the ferry. Look closely into the many slowly darkening alleyways to catch a glimpse of locals scurrying to get home before dark, but stopping at an outdoor café window for a quick standup drink of expresso to warm them as they disappear into the night. As darkness falls, the lights shimmer on the water, making the trip mysterious and magical. Attend a performance at the famed La Teatro de Fenice, which first opened in 1792. Book online. If the tickets are too expensive for your budget, try to get last minute tickets. They are often less than 30E at the box office on the day of a performance. If there are no performances while you are in town, then be sure to take a backstage tour of the theater. Before you go, read The City of Falling Angels, by John Berendt. The book provides an understanding of the mysterious and dark story behind the fire that destroyed the theater in 1966. 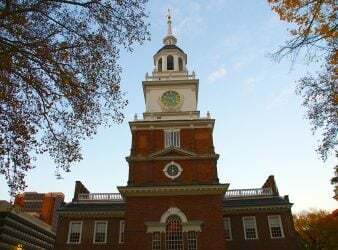 It also gives you a glimpse into many of the famous citizens, past and present, of this unique city. 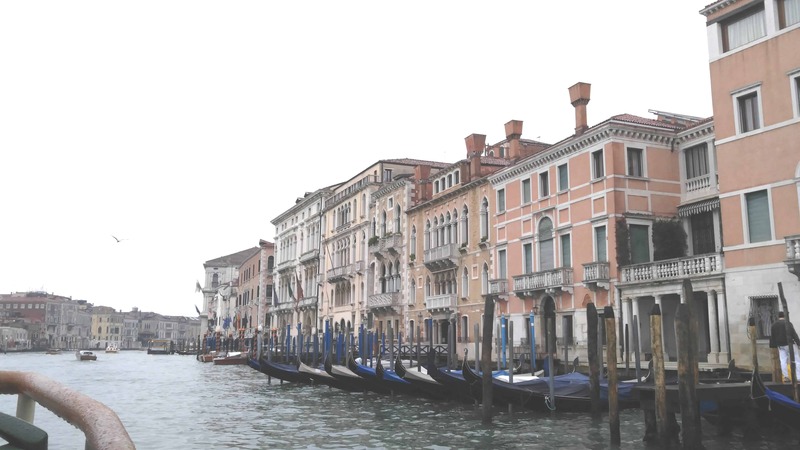 Visit the Palazzo Venier dei Leoni, Peggy Guggenheim’s former home (and burial site), which overlooks the Grand Canal. You can view masterpieces by Picasso, Kandinsky and Pollack as well as see how a rich, independent woman once lived. You can easily imagine Peggy taking her private gondola down the canal at dusk to get cocktails at Harry’s Bar near Piazza San Marco. The bohemian socialite had a life of luxury, indulgence and legendary lovers that spanned the globe. For more information on her life, read Art Lover by Anton Gill. 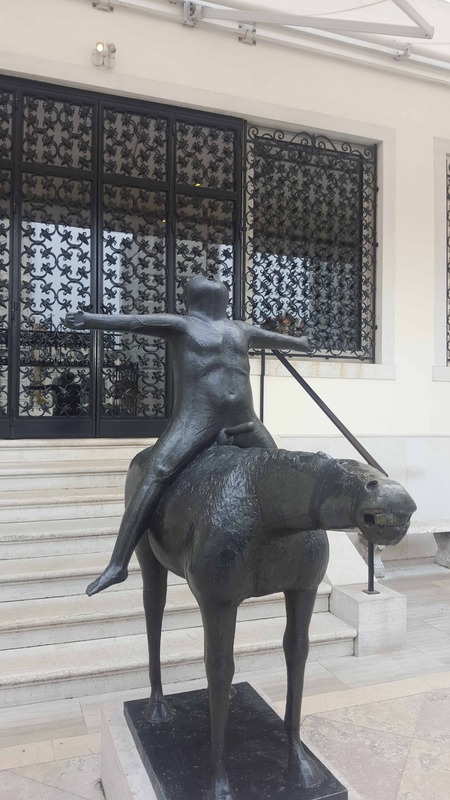 The best part of the visit to this Palazzo is a statue on the canal-side entrance of a bronze horse and naked male rider entitled Angel of the City by Marino Marini, created in 1948. The rider has a very prominent “private part” that will take your breath away. Originally made to be detachable in the event “proper” guests came calling, according to local legend, John Lennon and Yoko Ono unscrewed the part and stole it during a visit in the late 70’s. The replacement part is now welded on to prevent further thefts! If you thought Peggy Guggenheim had it good, wait until you see how the rich Venetians lived in the 1700s. Also located on the Grand Canal, the stunning Baroque palace Ca’Rezzonico, is now the Museum of 18th century Venice. It is a glorious mansion full of Tiepolo ceilings complete with flying cherubs (putti) and revealing paintings by Longhi, who chronicled (and criticized) the ennui of the Venetian upper class. 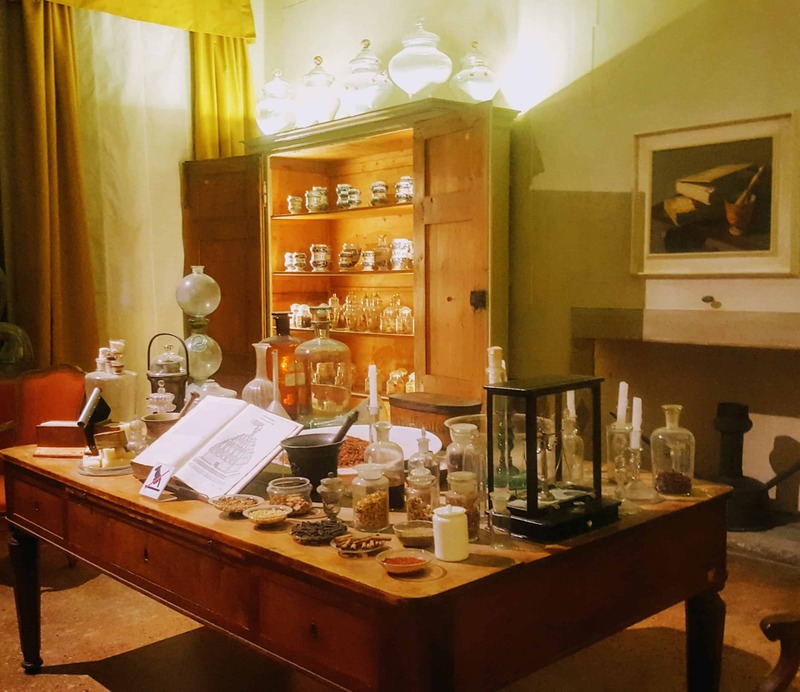 Palazzo Mocenigo, a costume and perfume museum, is less visited by tourists. So there is ample opportunity to explore and even smell the atmosphere. It is almost a “touch and discover” museum for adults! 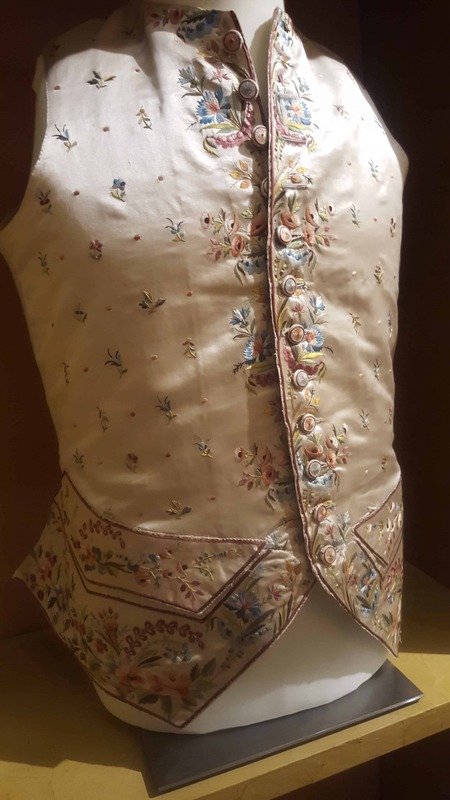 In addition to the many glittering gowns, explore a closet filled with men’s embroidered vests from the era of Casanova. The close-up display allows you to look closely at the handiwork. In the perfume area, lift the lids off of antique glass jars containing scents of Queens from the past. Also learn how various spices, flowers and animal parts were mixed to create enticing smells to cover the stench of living in medieval times. Note: All photos taken by author. Great piece. I am ready to go right now!